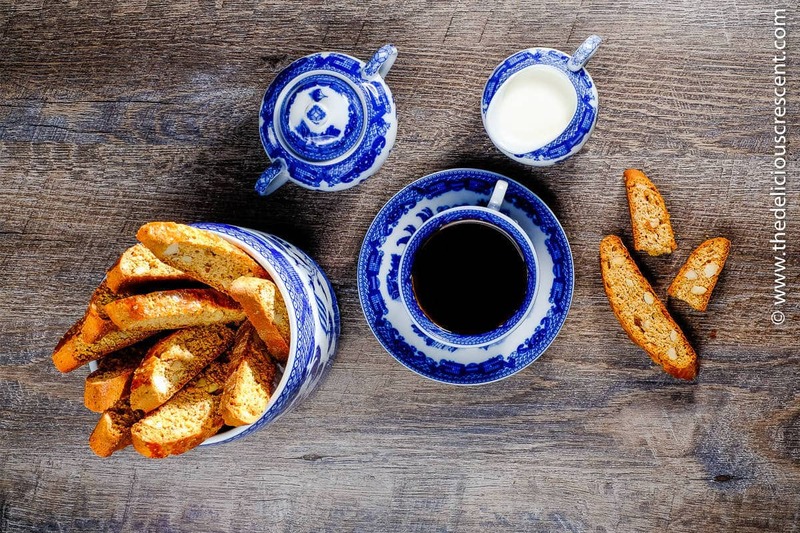 Anise Almond Honey Biscotti – a healthier version but just as tasty as the original! One serving – 90 kcals, 3 g protein, healthy fats! 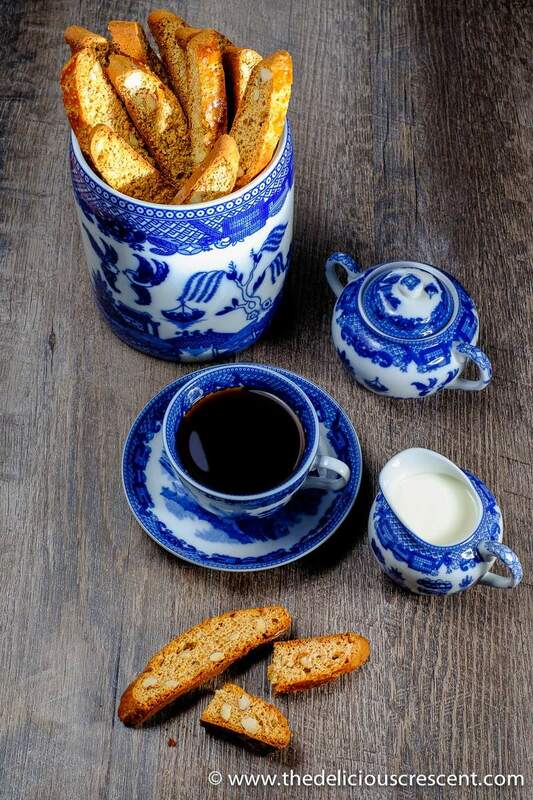 Biscotti is an Italian treat, and literally means “twice-cooked”. It is first baked as a log/slab and then sliced and baked again into a dry and crunchy cookie. This is my all time favorite snack to bake and eat. I have made this for years and most people who know me have tasted my version. I have used some whole wheat pastry flour, honey and olive oil to make this version of anise almond honey biscotti. It is always a good idea to take advantage of healthier alternatives, when it is possible to do so without compromising the taste. After all, little drops of water make a mighty ocean. So lets keep building up our ocean of good nutrition! I think that some sugar is essential for the baking quality of the product. However, there are recipes that use only honey. But considering several factors, I decided to stay with a mix of honey and sugar. There is absolutely no reason why anyone should only use butter to prepare this cookie. I did a taste test with both the butter and olive oil versions with some people and they were not able to tell the difference. Plus, I have read that in some parts of the Mediterranean, traditionally also, olive oil is used to bake this cookie. I would use the light olive oil as the flavor is mild and it works well for baking purposes. I have discussed about the nutritional benefits of using whole wheat pastry flour in my post about a Light and Delicious German Apple Cake. This version of biscotti has a chock full of almonds in it. Almonds are loaded with vitamins, minerals, protein, unsaturated fats, fiber and are widely appreciated for their nutritional benefits. Research has shown that consumption of almonds can boost plasma vitamin E levels and thereby protect against the artery clogging oxidation of cholesterol. Almonds have also shown promise in reducing the risk of colon cancer. These delicious nuts are known for reducing coronary heart disease risk factors and improving blood lipid profile. One study reported a reduction in blood pressure and improved blood flow as a result of consumption of almonds. 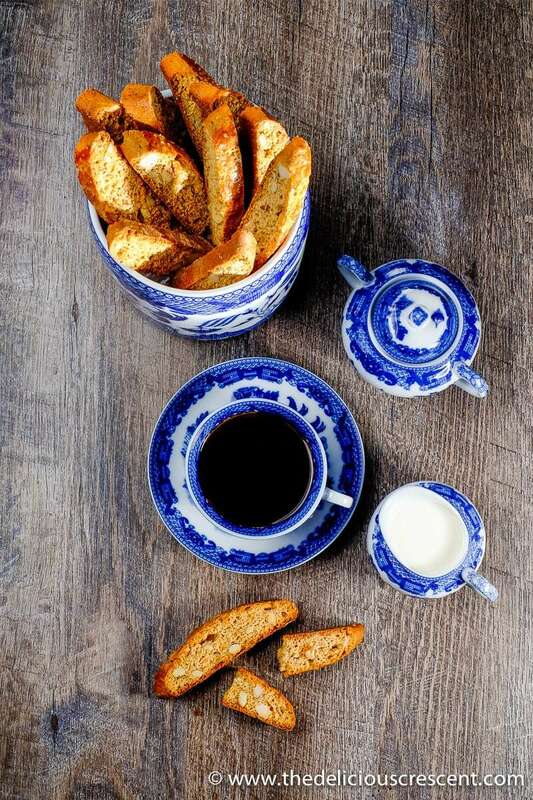 Anise almond honey biscotti keep very well for a long time. Make a big batch – store it for later use, share it with family and friends, and just eat it!! Anise Almond Honey Biscotti - a healthier version but just as tasty as the original! One serving - 90 kcals, 3 g protein, healthy fats! Position the rack in center of oven and preheat to 325°F*. Prepare the baking sheet by lining with parchment paper. In a medium bowl - sift the flour, baking powder and salt. In a larger bowl - mix oil, honey, sugar, eggs, almond extract and ground aniseed. 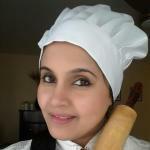 Combine the flour mixture and egg mixture and stir with wooden spoon until well blended. Finally mix in the chopped almonds. The dough may be a bit sticky. Chill the dough in the refrigerator to allow it to firm up. Divide dough in half. With floured hands, roll each dough portion into a cylindrical log about 10 inches long. Carefully transfer both logs to prepared baking sheet spacing apart. Gently flatten and shape each portion into a 12 inch long and 3 1/2 inch wide log and make sure they are about 3 inches apart on the baking sheet, as the logs will spread while baking. Whisk egg white in a small bowl and brush over top and sides of each dough log. Sprinkle the Turbinado raw sugar on the top of the logs. Bake logs until golden brown about 25 minutes. Allow the baked logs to cool down completely. This step is important. You may give it some hours. Lower the oven temperature to 300ºF. Transfer the baked logs to a wooden cutting board. Using a "sharp" knife cut logs diagonally into 1/2 inch wide slices. Place the slices on the baking sheet, cut side down. Bake about 10 minutes and turn the biscotti over; bake about 8 to 10 minutes on the other side until just beginning to color. Transfer to rack and cool. The anise almond honey biscotti should be dry and crisp. Store in airtight container at room temperature. These are delicious and a wonderful texture – crunchy but not dry. Excellent dipped in coffee, tea, or milk, but also excellent dry! Excited to add these to our holiday recipe file! Hi Kari. Thanks for your lovely feedback. And so happy you liked it. Very useful info specially the closing part :) I deal with such info much. I really appreciate it. Thanks for the encouragement.